FLORA, Mississippi - February 14, 2018 - Primos Hunting, a leading innovator of game calls and hunting accessories, will showcase several new products, including turkey calls and blinds, at the 2018 NWTF Convention & Sport Show in Nashville, Tennessee, February 16 to 18. Founder Will Primos will also make an extraordinary donation to the National Wild Turkey Federation and announce a special fundraiser program to support the NWTF’s mission to “Save the habitat. Save the hunt.” In addition, the hosts of Primos’ award-winning “Primos TRUTH About Hunting” television show will also be on hand throughout the show at booth #1121 to answer questions, give calling seminars and sign autographs. This year marks the 35th anniversary of Primos Hunting attending the NWTF Show. To mark the anniversary and celebrate three decades of partnership, Will Primos will make a special presentation to the NWTF of the original Gibson Box Call given to him by Mrs. Vivian Latta back in 1981. The call, which is one of the original Gibson Turkey Calls from which all box calls today are derived, will be displayed at the NWTF museum in Edgefield, South Carolina. In addition, Primos is announcing a fundraising campaign to help NWTF auction 1,641 numbered Gibson Replica calls - one for every local NWTF banquet. All proceeds for the fundraiser will go to NWTF. Gibson Replica No. 1 will be auctioned at Friday’s NWTF Grand National Auction. The Primos booth will also display a host of new products, headlined by the new Primos Double Bull SurroundView blind - the revolutionary blind without a blind spot. Constructed with exclusive one-way see-through walls, the SurroundView blind lets hunters spot all the game they would miss with traditional blinds, yet remain just as concealed. Primos also will debut several new turkey calls at the show, including the Drag Strip drag-style friction call, Tall Timber Gabriel premium box call, 30-year anniversary Truth Box and the innovative new Proof Cellular trail camera. The Primos Drag Strip is a modern version of an old-school traditional call. The Drag Strip is made of CNC milled exotic hardwood and Pennsylvania slate. The design, with a built-in sound board and sound ports, fits perfectly in the user’s hand to produce smooth yelps, purrs, clucks and cuts. It’s all topped off with laser engraving and a one-piece CNC-turned striker. The Tall Timber Gabriel is a premium box call that features double thumbholes on the box to allow easy and perfect clucks and cuts. The name is derived from a book written by Will Primos’ good friend Charles Whittington. Mr. Whittington wrote about his turkey hunting exploits in 1971 in a book entitled Tall Timber Gabriels. Following that tradition and dedication to the craft, Primos has put all that we know and cherish about the box call as an instrument into this design—from the choice of woods, the curves of the striking surfaces, the shape and cutouts of the sideboards to the overall finish. The result is the finest instrument to produce the sounds that “Old Gabriel” so badly wants to hear. The new Limited Edition 30 Years of TRUTH box call celebrates 30 years of "The TRUTH Turkey Series." This collectors’ item honors Primos’ longstanding video series that began in 1987. A throwback original photo taken of Will Primos is laser engraved on fine hardwood at the Primos wood-tuning facility in Mississippi. Each call is numbered and hand-tuned. A limited number will be produced. 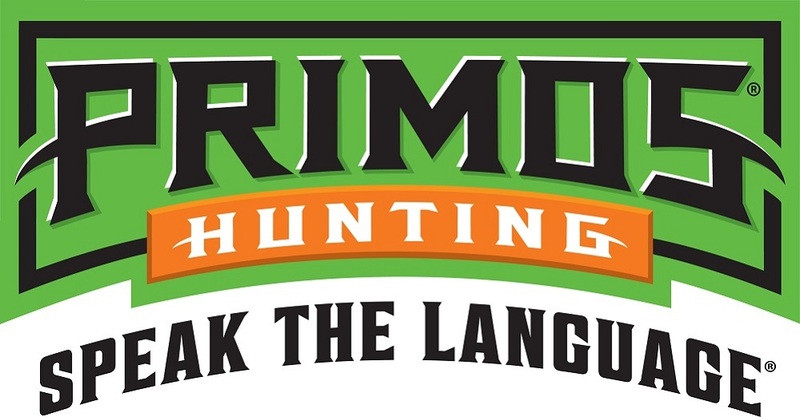 Starting Friday, February 16, “Primos TRUTH About Hunting” team members Will Primos, Jimmy Primos, Brad Farris, Troy Ruiz, Jordan Blissett and Lake Pickle will be in the Primos booth (#1121) to talk about turkey hunting and sign autographs for show attendees. Will Primos and product engineer Anthony Foster will host a box calling seminar in Ryman Ballroom CF on Friday, February 16 from 1 to 2 p.m. and a pot calling seminar in Ryman Ballroom CF on Saturday, February 17 from 1 to 2 p.m.
Jimmy Primos and Mossy Oak’s Ronnie ‘Cuz’ Strickland will host a “Truth About the TRUTH” seminar in Ryman Studio ABC from 2 to 3 p.m. on Saturday, February 17. Pickle, Blissett and Ruiz will host calling seminars from 1 to 2 p.m. in the Kids Village on Friday, February 16; Saturday, February 17; and Sunday February 18. Attendees to the 2018 NWTF Convention & Sport Show can see all the new products and more at the Primos Booth (#1121) throughout the show. To learn more, visit www.primos.com. Primos, a Vista Outdoor brand, is one of the most recognizable and trusted names in hunting calls, attractants, trail cameras and accessories.